CareWorks electronic patient record and patient administration systems are helping to support community health, mental health and social services throughout the UK. 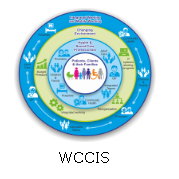 Our integrated approach gives health and social care professionals access to a single database which helps improve the way in which care is delivered. CareWorks software solution supports the case management of health, adults and children’s social care. through the full care pathway such as Initial Enquiries and Contacts, Referrals and Assessment of Needs. CareWorks Youth Justice solution is also used throughout England and Wales to support local needs and meet local assessments including Youth Offending, Prevention and Drugs and Alcohol Misuse.